Telia Carrier owns and operates one of the world’s most extensive fiber backbones. We provide network infrastructure and services for more than 1,200 customers in 110 countries. 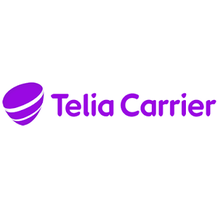 Recognized as a top-two global Internet backbone provider, Telia Carrier continues to strengthen its presence in the Americas. 2	jplist-folder-All-Posts-64396 Product-Literature-Product-Literature	jplist-topic-Internet-Network-Rankings	0	06/23/2017 19:09:04	As is our annual tradition, this blog provides a year-end review of how the Internet providers at the top of our Internet Intelligence – Transit global rankings fared over the previous year. What is an Internet Backbone and What Makes a Good One? 7	jplist-folder-All-Posts-64396 Product-Literature-Product-Literature	jplist-topic-Bgp jplist-topic-Communiites jplist-topic-Internet-Services jplist-topic-IT-Transit	0	09/19/2016 14:58:03	Telia Carrier’s Internet Services (AS1299) offers a range of BGP Community options to enable customers to control their IPv4 and IPv6 traffic in-line with their business needs. This brief provides further information for customers on available community options. 12	jplist-folder-All-Posts-64396 Article-Article	jplist-topic-Backbone jplist-topic-Connectivity jplist-topic-End-to-end-Quality jplist-topic-Europe jplist-topic-Fiber jplist-topic-Fiber-Backbone jplist-topic-Fibre jplist-topic-Global-Network jplist-topic-International jplist-topic-Partner-Program jplist-topic-Telia-Carrier jplist-topic-Worldwide-Reach	0	07/18/2016 10:13:04	End-to-end qualityWorldwide reachFuture-proof When connectivity is critical to your customers, you need end-to-end quality. And for that you need end-to-end control. Thats where Telia Carrier comes in.